Do you have any fun or special NASA or STEM memories that have contributed to your journey here? 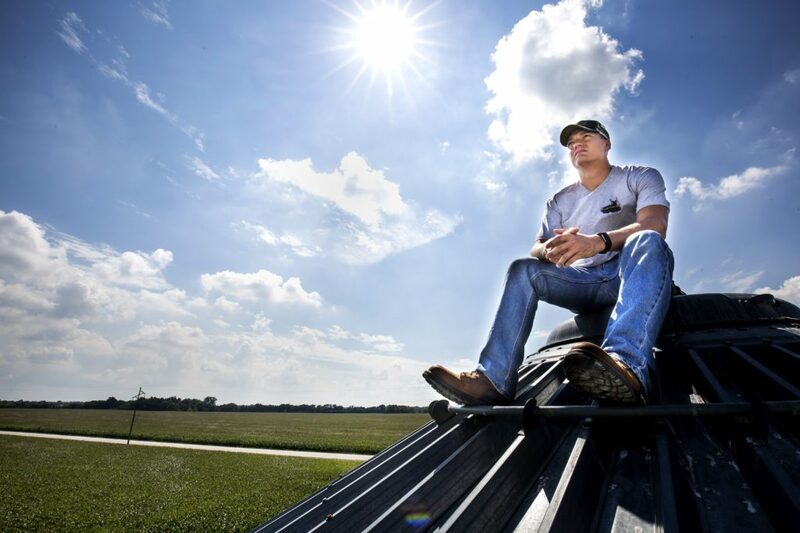 The University of Michigan wrote a short-story article titled “The farm-raised engineer” that described my journey from a small-town family farm to the PhD program at the University of Michigan. Joseph Xu, Senior Multimedia Producer, interviewed me in the lab, at my apartment, at the research greenhouse, and traveled with me to my family farm in order to capture my family history as farmers and how my education has led me to perform research that has come full-circle with trying to provide innovative solutions to modern agriculture. I was also a 2018 National Geographic Chasing Genius Finalist (1 of 15 in nearly 3,000). http://archive.natgeochasinggenius.com/video/1497. Unfortunately, I did not win the competition. While I did not win the competition from the National Geographic Chasing Genius, I learned to not be deterred or give up after a loss. Bringing the ideas with me as I have the opportunity and resources available here at Kennedy Space Center to further pursue the project. What challenges or hardships do you feel you have had to overcome to reach this point? Coming from a small and rural community I did not have the high school educational opportunities provided to most of my peers at the University of Michigan. My freshman year was spent trying to study, competing with my peers and adjusting to being “far” (6 ½ hour drive) from home. In order to help pay for my schooling, at the start of my sophomore year I began working on the weekends as a handyman around the city of Ann Arbor to help offset rent costs, groceries, and other school supplies. 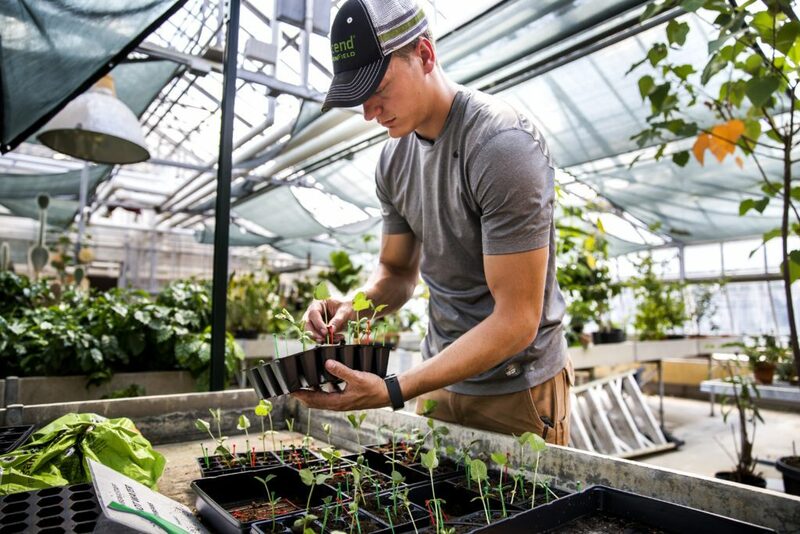 The plant research project mentioned in the National Geographic video was actually a side project of mine that I started in my second year of graduate studies. It was what I had intended on developing for my thesis but it never did received the funding. Therefore my thesis work was on a different project and my spare time was spent on pursuing this research. I would work during the day on my thesis research and then in the evenings, a colleague who was also interested in the project would work with me as we further developed the project. This led to a lot of evenings during the week and weekends spent doing research together with some time-stamped photographs at midnight. Since there was no available funding, my father had given me soybeans from the farm (Engeling Farms) and I had spent my own money on supplies for germination and growth tests with my advisor allowing me to use the non-consumable lab equipment. Are there any educators who inspired you throughout school or contributed to your pursuit of a NASA internship? My advisor, Professor John Foster, had worked at NASA – Glenn Research Center before becoming a Professor at the University of Michigan. His excitement with research and teaching and love of the advancement of knowledge throughout NASA had inspired me to look into the opportunities available to me and to see if I would be able to contribute to any of the on-going work. 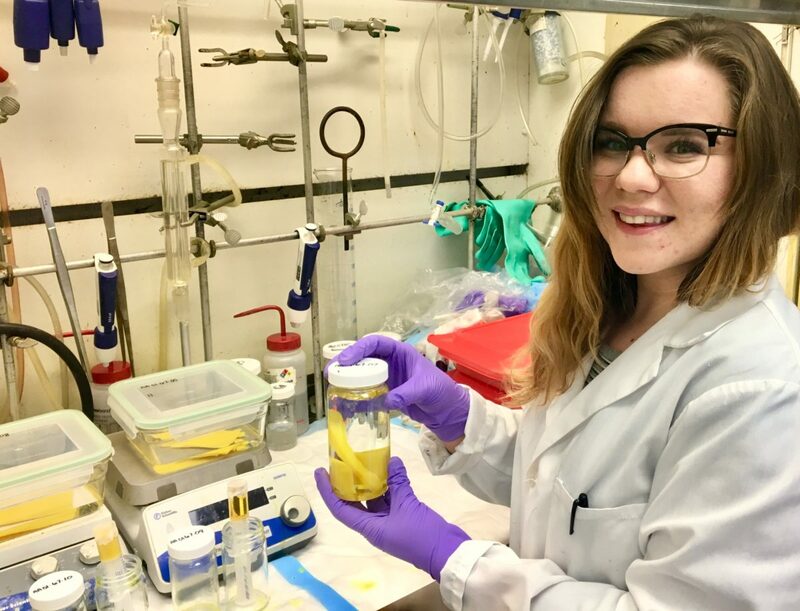 I am very thankful to have received the opportunity to work with my current mentor, Annie Meier, PhD, and the OSCAR Team in the Applied Chemistry Lab here at Kennedy Space Center. Dr. Meter and her team focuses on a waste gasification process involving a rig that has been named Orbital Syngas/Commodity Augmentation Reactor or OSCAR for short. 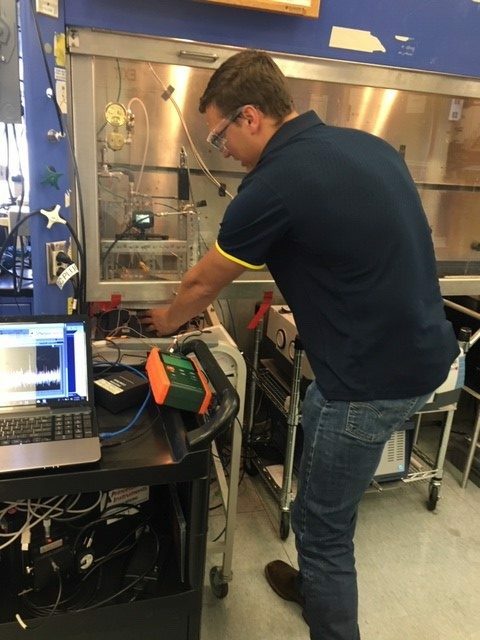 My current role in the group is to demonstrate the use of an alternative technology for the same purpose and therefore I am working with a low-temperature plasma torch for waste gasification. This correlates directly with my graduate degree focus within the field of plasma physics. I am also collaborating with GIoia Massa, PhD, of the VEGGIE group for the sterilization of seeds via various plasma technologies. 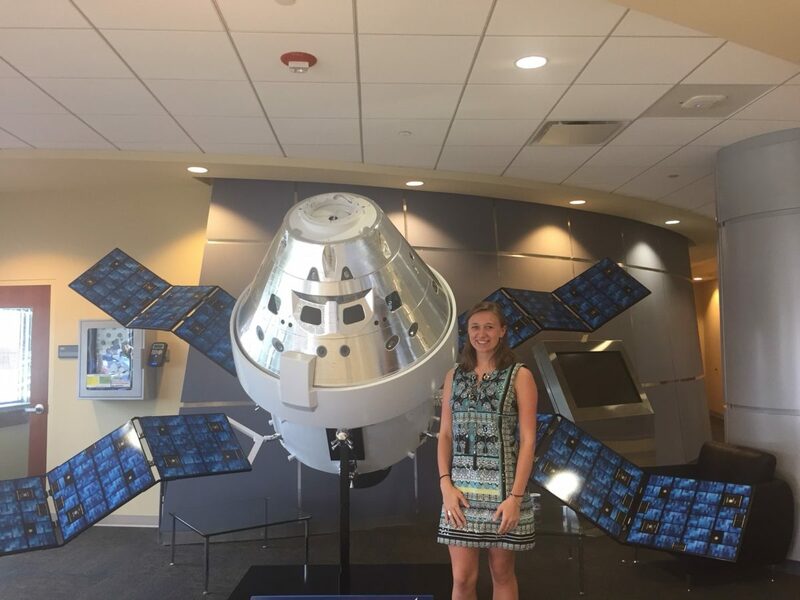 I was excited for the opportunity and experience to work at NASA for the plasma gasification group as well as a possible collaboration to continue working on the seed project for potential applications and use for the International Space Station. One of the most interesting things about my internship is that I have the ability to work at a historic facility as well as seeing its transition into a multi-user spaceport by experiencing launches first-hand. Learning how to use new equipment and analyze the data will be invaluable in years to come for my career. Also, learning the requirements for flight technologies as well as the advanced chemistry and concepts applied has been fascinating. How do you feel this internship has helped you develop more professional or personal confidence? While interning here, I am writing my PhD thesis so my goal is to graduate. Then I wish to pursue plasma applications for environmental remediation and applications in agriculture. My mentor’s group as well as another group I am working with, has provided me with the one of the best foundations for learning basic and advanced concepts and knowledge in order to further pursue advanced applications for plasma technologies. The internship has helped in a professional way by allowing me to interact with experts in fields different than mine. It has also helped me be able to clearly explain the experiences I have gained in my graduate studies and how I may be able to assist in their projects. My name is Kenneth Engeling and this is my story. 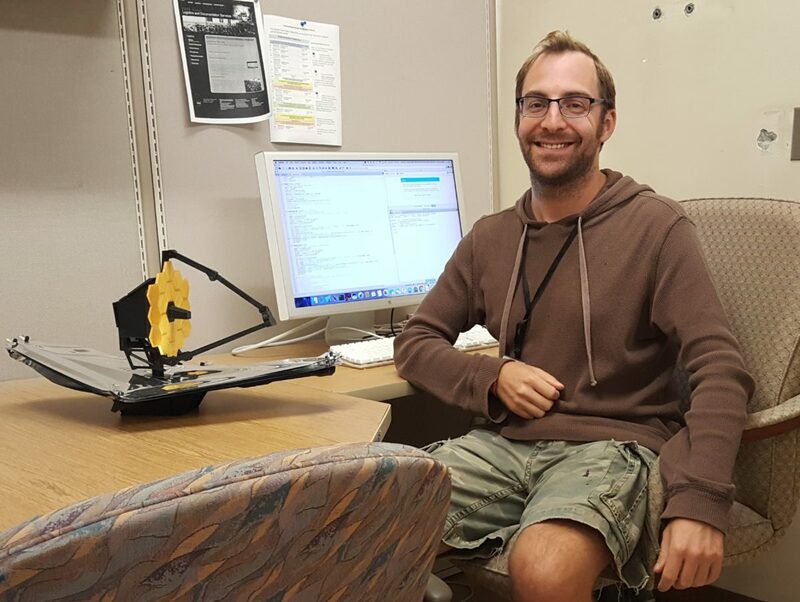 Kenneth Engeling is finishing up his 4th year of his PhD studies in nuclear engineering and radiological sciences with a focus in low temperature plasmas. 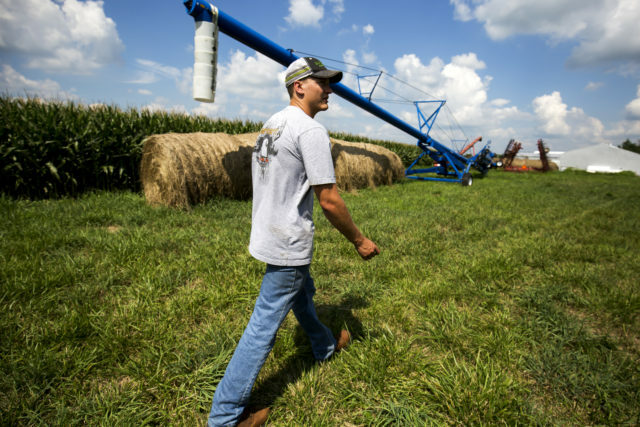 He comes from a small town farming community in which the farm has been in his family for 4 generations spanning nearly 140 years. Kenneth has traveled from the University of Michigan in Ann Arbor, which is home to the Wolverines and fantastic food options, and has succeeded in skipping the Michigan winter. 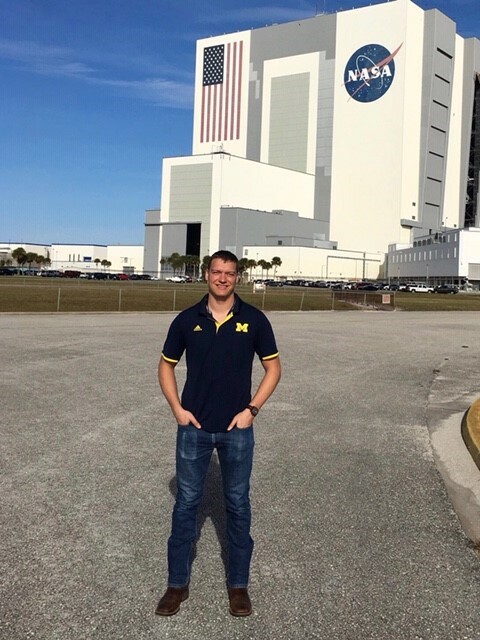 Kenneth will be continuing his internship until the end of Summer 2019 at NASA’s Kennedy Space Center. 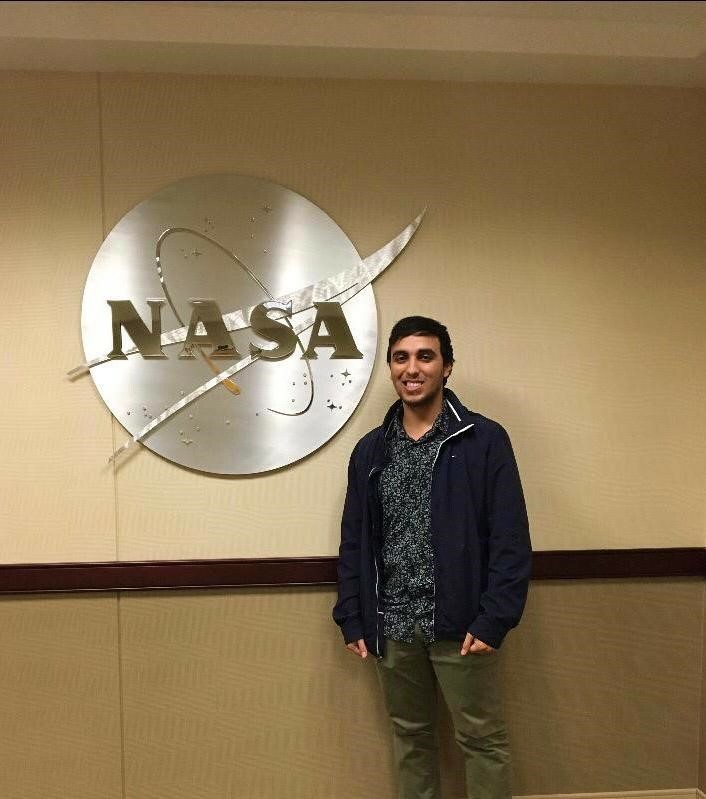 Jorge proudly stands by the NASA meatball on his second internship day at NASA’s Stennis Space Center. My name is Jorge Y. Martínez Santiago, I’m from Caguas, Puerto Rico. I study electrical engineering (EE) at the Universidad Del Turabo in Puerto Rico. I decided to study electrical engineering because I wanted to help in the improvement of new systems to help humanity in the way we communicate, electrical systems in medical equipment, security, perhaps in renewable energies or in the development of new technologies, such as transportation, Construction and robotics. For me, a career in electrical engineering can offer you all that. After my first year of study in EE, my father’s cousin, Felix Soto, told me about an internship opportunity at NASA. At first I was excited, but then I thought that because I was from Puerto Rico I would have more problems to qualify because being considered a minority I would not have the same opportunities. Also, I did not have the best GPA, I assumed that only 4.0 GPA students would be considered for opportunities. This perception made me lose confidence in being selected for an interview. Jorge tours NASA’s Michoud Assembly Facility in New Orleans. After the first year of having my profile in the application system, I received updates that I was being considered for an interview, but I was never interviewed. Soon after, I forgot about the selection process because I thought that NASA would never select me. However, my parents and my father’s cousin continued to encourage me to apply again in my third year of college. This time, with a better curriculum and some EE experience, I felt more confident. I applied for spring internship opportunities in 2017, but then Hurricane Maria came. After Hurricane Maria, we lost the roof at the back of the house, electricity and water. Our phones did not work well – there was no signal on the whole island. Nowadays, we are dependent on technology regularly for almost everything so you can only imagine how difficult our days were. Not to mention that there were people without food, and people dying from lack of electricity or sick people that became worse due to the Hurricane Maria. The days were boring and short; after the sun went down, there was not much to do. This affected me greatly. Due to the lack of electricity and internet, I did not see an email from one of the internship positions I applied to; the email was an invitation to interview for an internship, but since I did not have email access, I lost my chance. 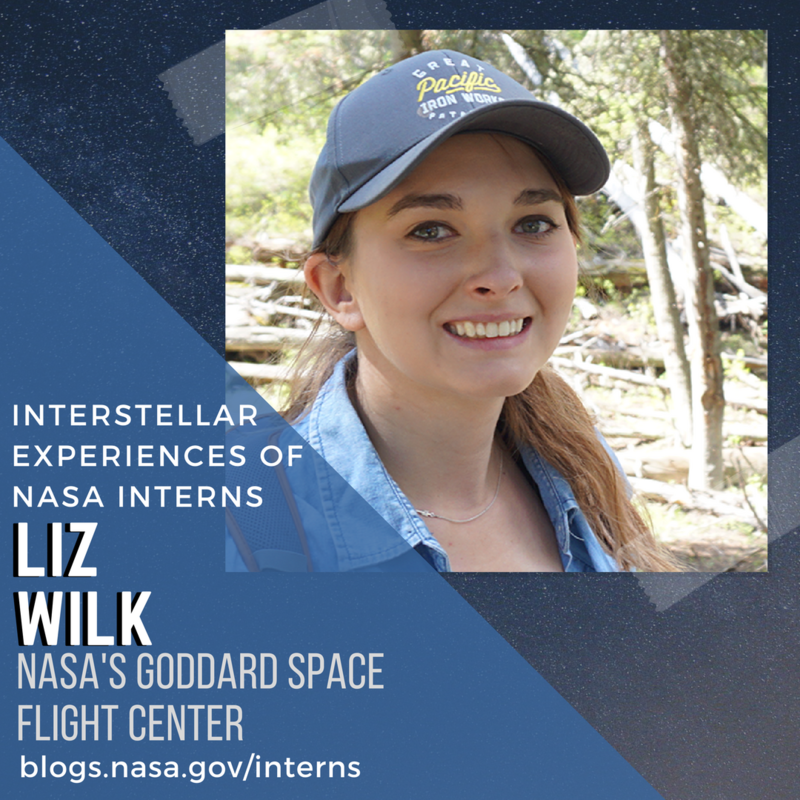 When I discovered that I lost my first and what I thought was my only opportunity to have an internship at NASA, I felt frustrated and unmotivated. I thought I would not have another chance to become a NASA intern. Despite being frustrated, I did not lose hope and continued applying to more opportunities. 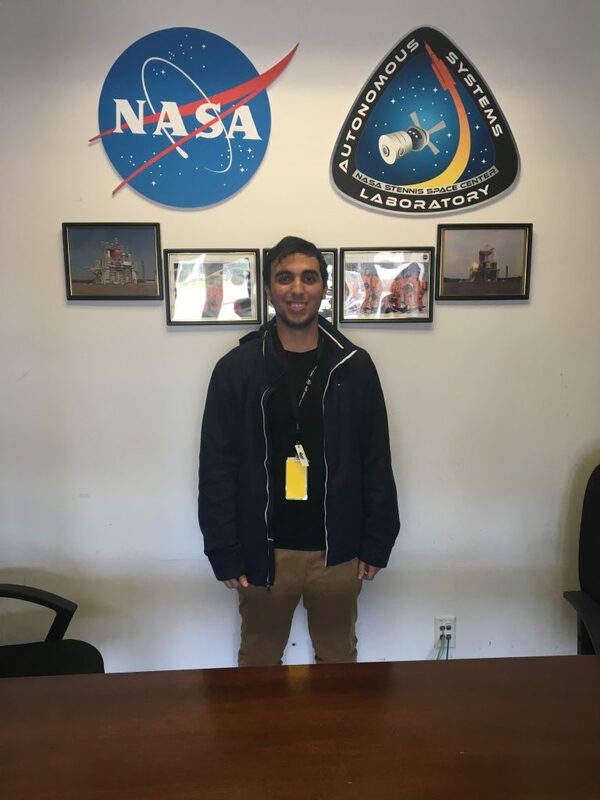 About a month later, I received several offers for interviews and was selected for a summer internship at NASA’s Glenn Research Center in 2018. I discovered that the NASA community is kind and has a diverse work environment. 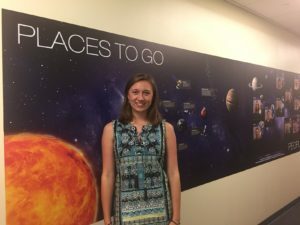 I was glad to have been selected for a NASA internship! 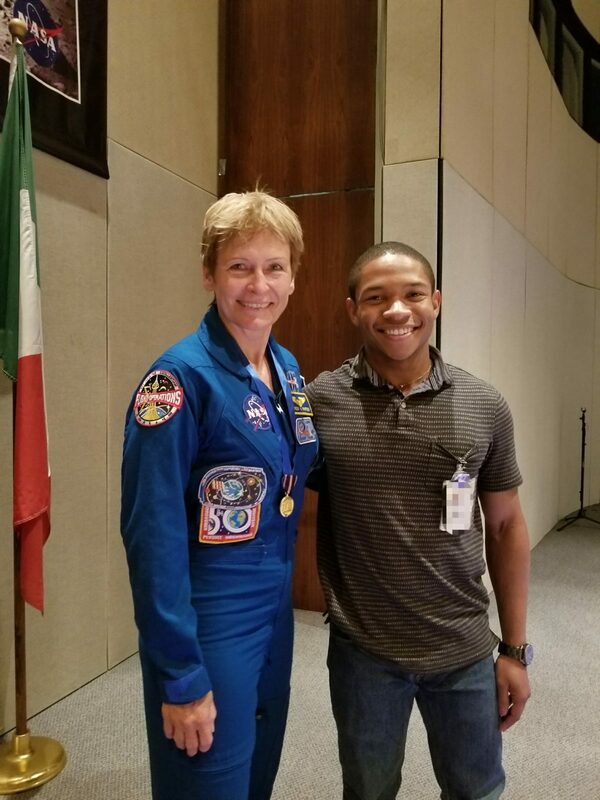 I was excited because I aimed to acquire a professional experience and, in addition, provide me with a different perspective of interning and possibly working at NASA as a minority. 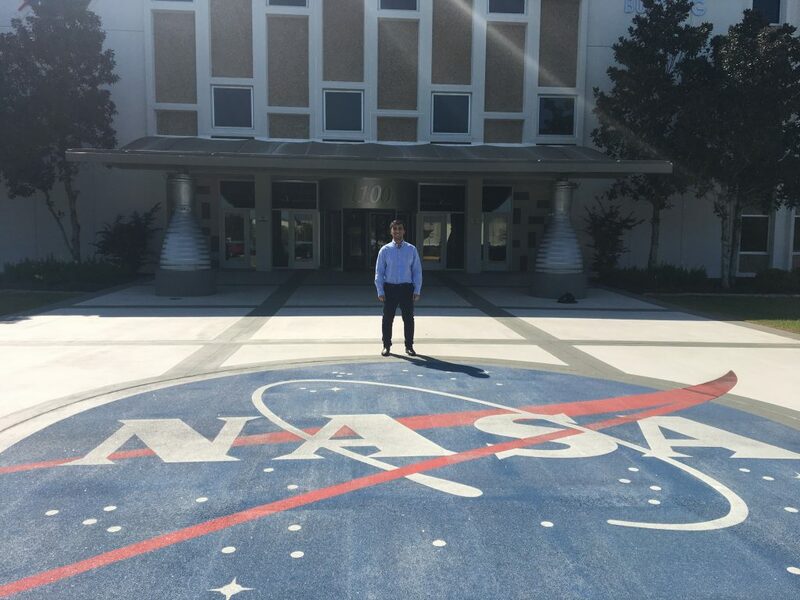 Jorge’s intern journey leads him to a second internship at NASA’s Stennis Space Center. I know that maybe there are people who, like me, have the same thoughts that I had: thinking that for not having a 4.0 GPA, or for not having important things that stand out in their area of ​​study, they would not be considered. However, it is not like that at all. My message to students: if you try hard enough, you can be here too. It does not matter if you have a category five hurricane against you, if you believe in yourself, you can achieve it. 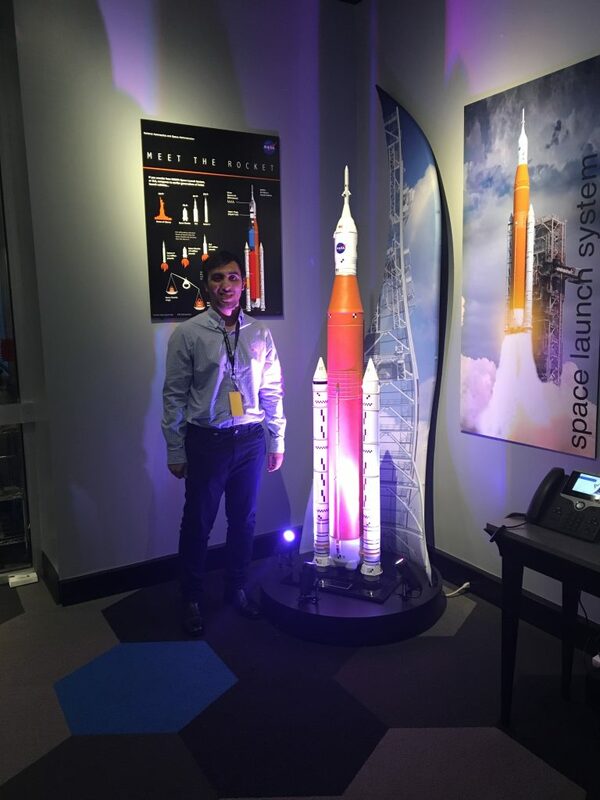 Jorge currently interns in the Autonomous Systems Laboratory at NASA’s Stennis Space Center. Currently, I’m in my second internship at NASA’s Stennis Space Center in Mississippi. I’m currently working on the Autonomous System Lab developing a program that it will implement the capability to autonomously analyze the behavior of pumps, and apply to the pumps of the Nitrogen System. This capability will enable determination of anomalies and autonomous responses when anomalies are encountered. I’m doing this with help and guidance of my mentor Fernando Figueroa, who has been really helpful and a good mentor. I was just informed that I will continue this internship until the end of summer 2019. After my NASA internship, I will go back to school in Puerto Rico and finish my bachelor’s degree. Moving forward, I would like to get a job at a NASA center where I can continue making a contribution on the future of space exploration. Jorge Martínez is a student at the Universidad Del Turabo, finishing a degree in electrical engineering. He lives in Caguas, Puerto Rico with his parents and younger brother. In addition to going to school, he also has an elevators maintenance job. In his spare time he likes to play basketball with his friends, swim, watch series and go to the beach. When stressed due to workload, he likes to listen to music and eat. When he was a kid, he wanted to be an NBA player and an astronaut at the same time. Although he is 5’8″, he still believes he will make it to the NBA. He has worked hard and put a lot of dedication to finish his career and after that get a master’s degree, but he could not do it without the support and love of his parents and his girlfriend, who are always there to help and motivate him.